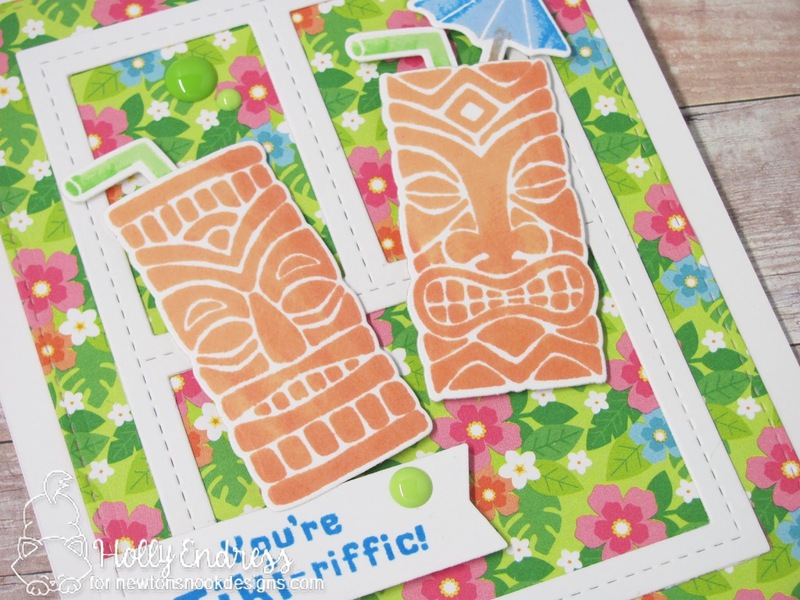 Hi everyone I'm over on the Newton's Nook Blog today with this fun card and video using the Tiki Time set and coordinating Dies. 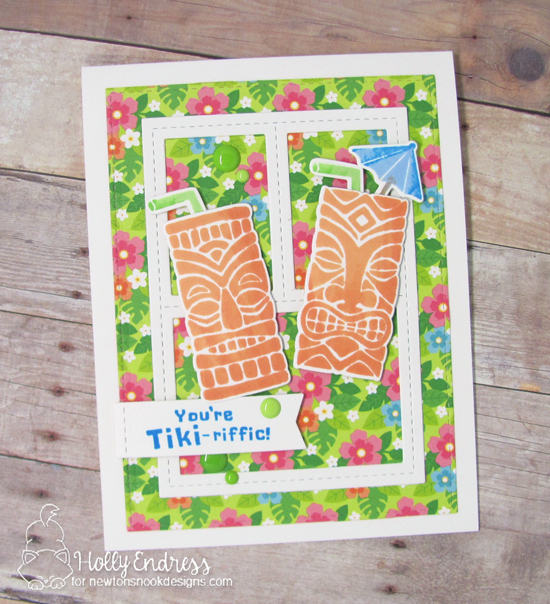 I used some Fun in the Sun Paper from Doodlebug and the MFT Blueprints #29 to create the background. Then I used the Rock n Roll technique to stamp my images with two different colors of Ink. I used the coordinating dies to cut them out and adhered them to the card with some foam tape. Then I stamped the sentiment on a banner I die cut from the same Blueprints and added it to the lower left. I wanted an extra pop of the Green so I added some Limeade Enamel Dots from Doodlebug Designs. You can watch as I create this card in the video below. Head over to the Newton's Nook Blog for more inspiration from the team.